After prior successful events, Bridestory Fair will be back again this year with bigger and better concept. Showcasing “Modern Heritage” theme, Bridestory Fair 2019 will present a curated list of 100+ curated wedding vendors across 15+ categories in a one-of-a-kind three-day event. 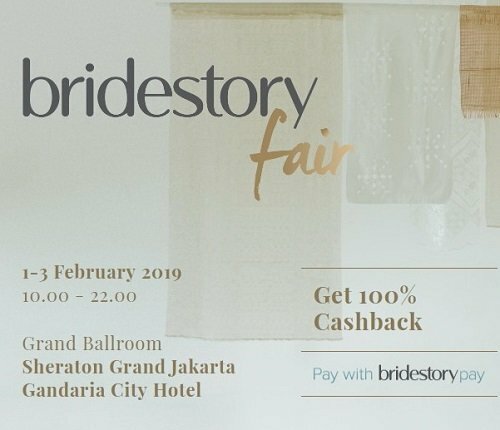 Prepare to be immersed with contemporary installations inspired by Indonesian heritage, meet the industry most talented personas and a chance to get 100% cashback only at Bridestory Fair 2019!